WITCH is a fantastic promotional platform for magically-inclined authors, coaches, and entrepreneurs. Many of our authors have their essays shared over 2000 times on Facebook and get tens of thousands of readers. So if you’re a witchy writer looking for a big, smart audience – it’s a great idea to submit your writing to WITCH. WITCH is a global internet society of incredible power dedicated to overthrowing the dry muggle world and re-instating the dominance of magic, imagination, art, intuition, and eros. Please send your essay as both a Word document (NO dropbox links), and copied-and-pasted into the body of your email to badwitcheseditor@gmail.com. Our wonderful assistant editor, Karolina Boldt, will receive it. To ensure that we’re able to publish what you send us, make sure that you check out our must-read style guidelines. 2. It includes at least three links in the body of the essay to other essays on the WITCH website. This ensures that when someone visits us to read your essay, they eventually end up clicking on other essays too and becoming deeply ensnared in our web of witchery. Mwahahahaahaha! 4. it is longer than a Facebook post and shorter than a novel: the required wordcount is 600-1800 (bio not included). Please refrain from excessive formatting (CAPS galore, using bold or italic in every other sentence). Keep it simple – we make sure your piece will shine and take care of the formatting. Your most important formatting task is to break up your piece into 2-3 sentence chunks. 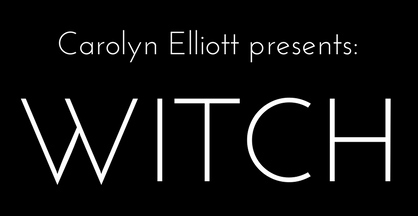 WITCH is a project of Carolyn Elliott – you can find out more about her, here. I just fell in love with your page…. What a great magazine. Thanks for putting this together. I hope there’s more to come! It’s a wonderful thing you are doing ! Love your site, think it’s a breath of fresh air! I absolutely LOVE the latest article! Indeed I AM a Witch!! All applied to me in the missive and I am proud of it…(albeit difficult at times..) Magic happens, but only when we recognize it and have it in our hearts. Thank you ladies for the much needed reinforcements. No short fiction or poetry ? It don’t hurt to ask !